Bajaj Associates and Co. is a reputed Chartered Accountants Firm based in Delhi, India. As a multi-disciplinary practice, we actively engage in four core services verticals - Taxation, Regulatory, Transaction Advisory and Audit & Assurance. The Firm has massive experience rendering diverse professional services to an extensive base of local and national clients. The firm has engaged a panel of experts and offers end to end solutions for Company Law Matters, IFRS Convergence, Transfer Pricing, Risk and Transaction Advisory. We have consistently enhanced value for our clients by providing practical and innovative solutions tailored to client's specific needs. We have managed to achieve this by blending domain expertise with analytical rigor, while maintaining an uncompromising focus on quality, and by hiring and nurturing high quality professionals with a passion for excellence. Our diverse team consists of 7 partners and over 35 employees with over 10 Chartered Accountants and other domain experts. Our multi-disciplinary team of personnel includes Chartered Accountants, MBAs, Engineers, Company Secretaries, CISA / ISA professionals and Cost Accountants, who are equipped with the requisite business and technical skills, experience and knowledge base to deliver customized solutions to our clients. 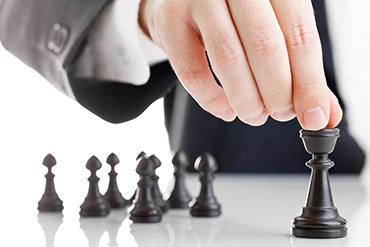 With their respective competencies, our professionals are capable of developing the required competitive advantage and sustainable value for a wide range of businesses.